Finding a free parking spot by using your smartphone – hub:raum drives eParkomat to European cities. The search for a parking space plagues anyone working in a large, crowded city. That nightmare is going to end soon with the help of eParkomat. Thanks to the application, users can locate and navigate to a free parking spot only by using their smartphones. The ingenuity of the software-only solution has tempted hub:raum, Deutsche Telekom incubator, to invest in the Czech startup. The eParkomat algorithm predicts the availability of the on-street parking spots in real time by monitoring the number of mobile devices in a particular mobile network. 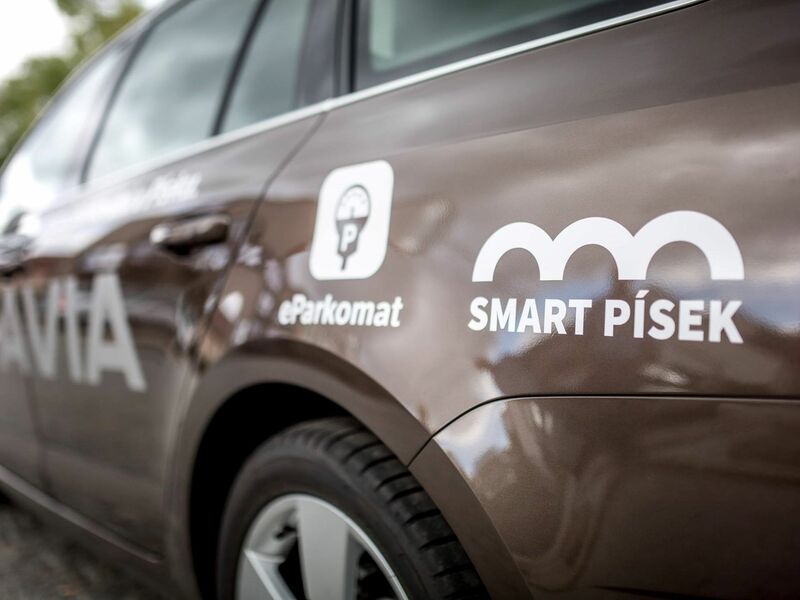 Already in first tests in 2015 eParkomat showed a 93.3% efficiency in Prague – with 250 drivers seeking parking spaces in a radius of 250 meters. eParkomat now boasts up its efficiency to 96%. Looking for a parking spot anywhere in the city with eParkomat is very simple. First of all, you pick a parking place on-street or off-street on the map. Then, you receive a feedback with a rating of chance for finding a free spot (high, good, medium, poor). If you made a decision where do you want to leave your car, just drop the route to your favourite car navigation and go. Very soon you will be able to pay for a parking place by using eParkomat, too. hub:raum has worked with the eParkomat team since 2014 during Telekom innovation contest Uqubate, an internal Telekom innovation contest and during X-Industry program ChallengeUp! held by Deutsche Telekom, Intel and Cisco. Three years of fruitful collaboration since then has resulted in the incubator’s decision to invest in the development of this young company. “eParkomat is an innovative solution which can dramatically improve people’s lives in big cities by indicating with high accuracy where you can find an on-street parking spot in a specific area. This solution is also valuable for any smart-city projects, giving city councils the opportunity to better understand the dynamics of traffic and parking. The possibilities of the application are almost unlimited; therefore, we decided to support the team”, said Jakub Probola, responsible for Central Eastern Europe and Managing Director Telekom hub:raum Fund GmbH. A mobile app and API for the Smart City project in the Czech Republic: the project integrates all available parking data (from sensors or from parking lots), and makes it available to third parties. Cooperation with Skoda in the area of smart cities and new digital car futures. Collaboration with Parkopedia for data about parking lots. eParkomat has implemented a successful pilot project in Prague. Due to the investment by hub:raum, the team expects a growing presence in other cities in the coming months. More information about eParkomat on the website: www.eparkomat.com.